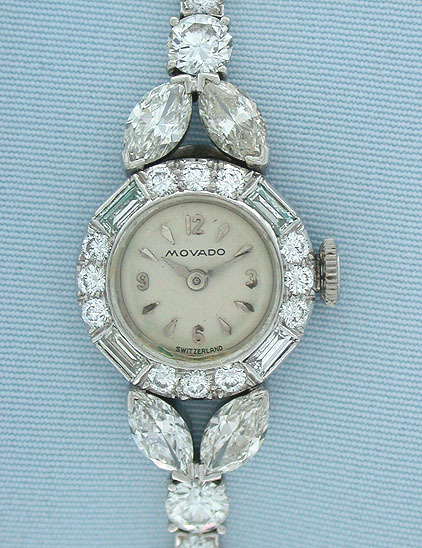 Fine Swiss Movado platinum and diamond vintage ladies wrist watch circa 1950. 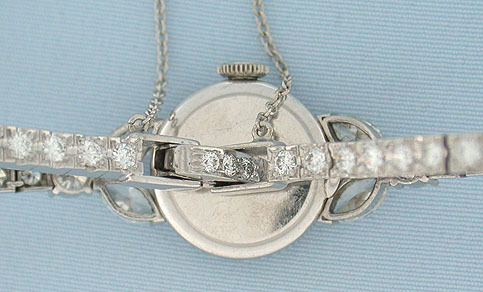 Elegant watch set with approximately 3.35 carats of diamonds. The dial with applied white numerals and markers and white hands. Nickel 17 jewel movement. Overall length 6 & 5/8 inches.